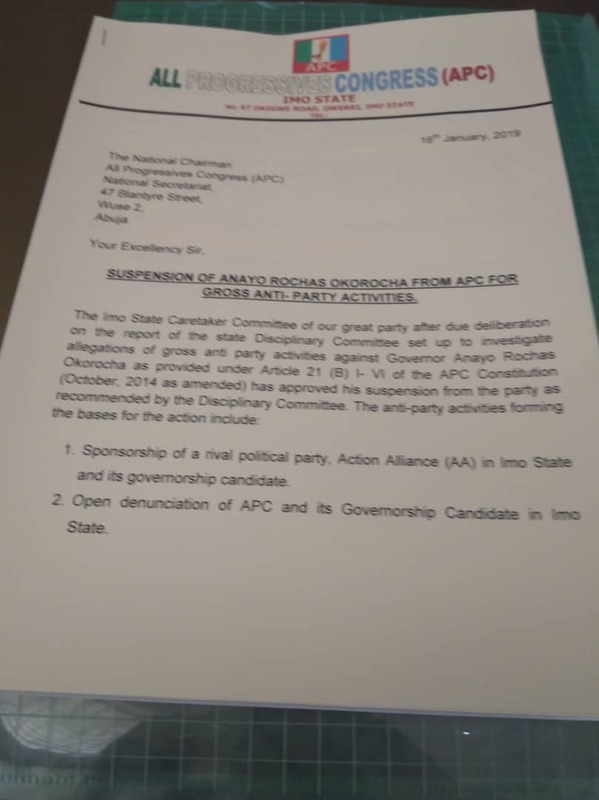 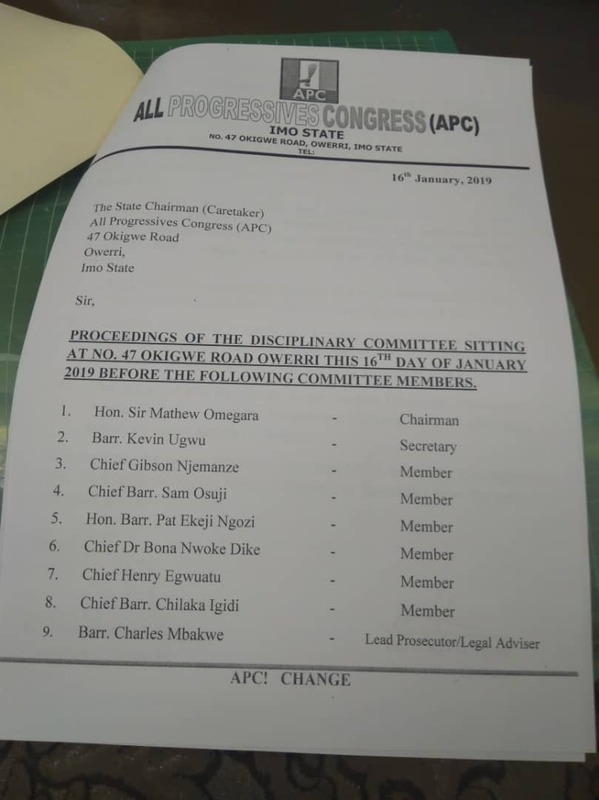 We have finally has obtained copies of an official letter from ruling All Progressive Party, APC announcing the Suspension of Imo state Governor, Rochas Okorocha from the party. 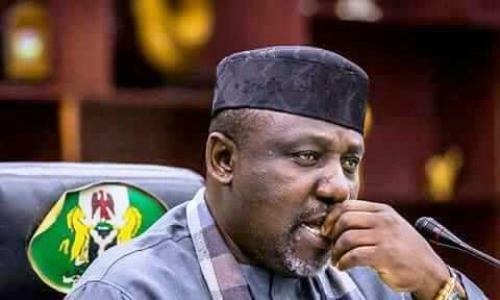 Okorocha was suspended from the ruling party earlier this month for anti-party activities. 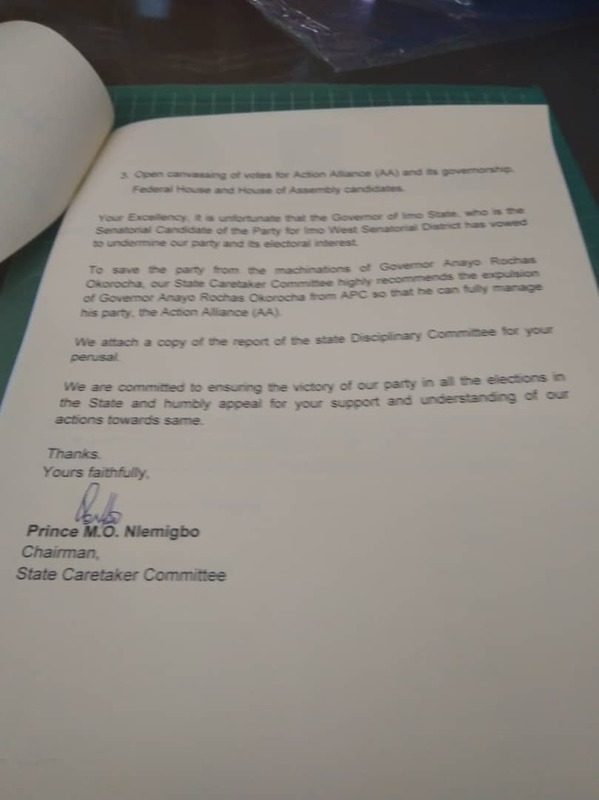 It will be recalled that the Governor's problems with the party originated from disagreements over his support for his in-law, Uche Nwosu to succeed him as Governor of the state.